Demetria Devonne "Demi" Lovato (born August 20, 1992) is an American actress and singer. She played Mitchie Torres in the Disney Channel Original Movie Camp Rock, and she plays Sonny Munroe in the Disney Channel Original Series Sonny With A Chance. Besides acting, she is also a solo music artist and has released her debut album Don't Forget on September 23, 2008. The album debuted at #2 on the Billboard 200 selling over 89,000 copies in the first week. Lovato was born in Dallas, Texa to Patrick Lovato and Diana Lovato (née Hart). She has an older sister, Dallas, and a younger half sister, Madison De La Garza. Her mother, Dianna Hart, was a Dallas Cowboys Cheerleader and country recording artist; her father, Patrick, moved to New Mexico after their marriage ended in 1994. He suffered some health problems and rarely sees Demi. The father and daughter saw each other for the first time in four years with a surprise visit by Demi in February 2008. In 2006 Lovato guest starred on the second season of the television series Prison Break as Danielle Curtin in the episode "First Down". She also appeared in the second season of the television sitcom Just Jordan as Nicole, in the episode "Slippery When Wet". During this time she taped a television pilot for a series called Split Ends, but it was not picked up. In January 2007, she landed the role of Charlotte Adams, a series regular, on the Disney Channel Original Short Series, As the Bell Rings, which premiered on August 26, 2007 during Disney's Back-to-School special night. Lovato began singing and dancing at a very young age. A few of her original songs, including "Shadow," were featured on As the Bell Rings. She has also covered the Academy Award nominated song "That's How You Know" from Enchanted on DisneyMania 6 and Princess DisneyMania. She also recorded three songs for the Camp Rock soundtrack: "Who Will I Be? ", "This is Me", and "Our Time Is Here". After singing in Camp Rock, she signed a record deal with Hollywood Records. Her cover of "Wonderful Christmas Time" by Paul McCartney will be featured in All Wrapped Up, a holiday album. In 2008, Lovato starred alongside the Jonas Brothers in the Disney Channel Original Movie, Camp Rock. She played Mitchie Torres, a fourteen-year-old girl with hopes of becoming a singer. The movie premiered on June 20 in the USA on Disney Channel, and in Canada on Family. Lovato's debut album Don't Forget was released on September 23, 2008 in the United States through Hollywood Records, debuting at number two on the Billboard 200 chart. The Jonas Brothers co-wrote several songs with Lovato for this album. During the summer of 2008, she performed as the Jonas Brothers' opening act for their Burning Up Tour. She competed on the sports-based special miniseries Disney Channel Games for the third annual show. Subsequently, she appeared on the second show of Studio DC: Almost Live, a special half-hour variety show that features The Muppets as well as Disney Channel stars. She made a small appearance on Jonas Brothers: Living the Dream. Lovato will also be featured in Jonas Brothers: The 3D Concert Experience, a concert film presented in Disney Digital 3-D. It will be released in the United States and Canada on February 27, 2009. Lovato was cast as Princess Rosalinda in the upcoming Disney Channel Original Movie, Princess Protection Program, alongside her friend, Selena Gomez. Lovato will soon be starring in a new Disney Channel Original Series called Sonny With a Chance. It began production in September 2008. 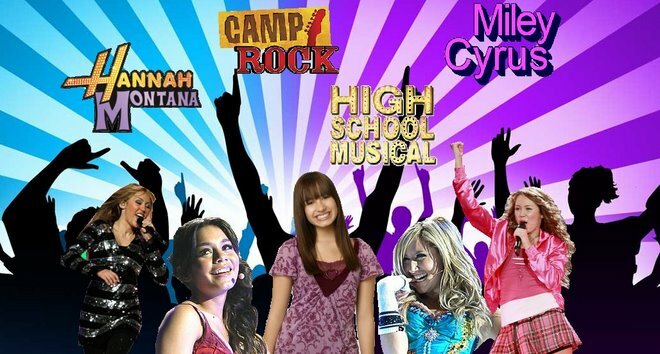 She will reprise her Mitchie Torres role in the Disney Channel Original Movie, Camp Rock 2. Lovato's MySpace page announced that a Deluxe Edition of "Don't Forget" will be released on March 31, 2009. It will contain two new tracks and an extra DVD. In an MTV interview, Lovato stated that she likes metal music, especially black metal and metalcore. She called symphonic black metal band Dimmu Borgir "one of her favorite live acts". Lovato is best friends with fellow actress, Selena Gomez, whom she has known since Lovato "asked her to sit on my jacket and draw with crayons with me" at the Barney & Friends auditions. Lovato plays the guitar and piano, and writes her own songs, such as "Stronger", "Shadow" and "Open". The latter was featured on As The Bell Rings.